A tropical storm churning across Chetumal, Mexico, over the weekend is on track to form into a Category 1 hurricane while moving towards the US Gulf Coast. The tropical depression, which developed into Tropical Storm Michael late on Sunday afternoon, would likely bring storm surges, heavy winds and flash floods to the Gulf by Wednesday. Analysts have warned of the potential for severe weather across the US East Coast, with the possibility of flooding in the Plains and widespread snowfall in Colorado, North Dakota, the Northern Rockies and the Plains. The possible hurricane could also hit North Carolina – still recovering from the deadly Hurricane Florence – with heavy rain, meteorologists said. However, as the storm rolled towards the Gulf of Mexico on Sunday afternoon, it remained too early to tell what regions may face the biggest impact of the oncoming storm. 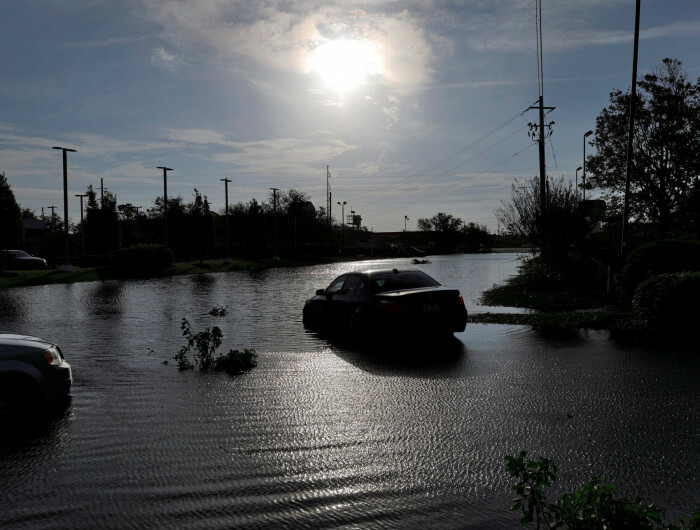 The National Weather Service said potentially fatal flash floods could hit Guatemala, El Salvador, western Nicaragua, Chiapas, Mexico and parts of the Central American Pacific. Thunderstorms also began developing across the Midwest and the Plains, with heavy rain expected in the central US beginning Sunday night and continuing over several days. The storm could bring one to three inches of rain daily throughout Kansas and Michigan. As the storm tracks slowly through the Rockies and the High Plains in the coming days, the mountain region could see up to two feet of snow. Locals have been advised to take care while driving through the central Rockies, where roads may become slushy and slippery. The snowfall is unusual at this time of year for the region. Tropical storm force winds of nearly 39 miles per hour were expected to hit the Gulf by Wednesday, with the possibility for hurricane force winds of 74 miles per hour or more if the storm moves quickly inland. Tropical storm warnings were also issued across the Mexican coastline, as well as parts of Cuba.